Excellent direction, outstanding performances by all actors, thrilling story and as cherry on top the wonderful music this was the perfect recipe of great movie Dagadi chawl which has won heart of audience and got a benchmark in the mind of Marathi audience as well as Marathi film industry. 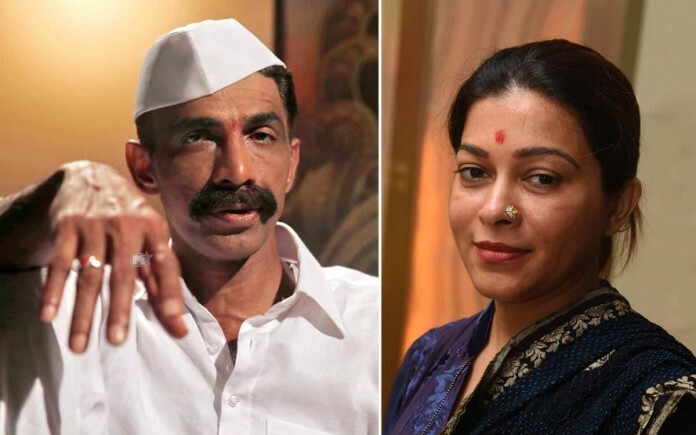 Keeping in mind the standard of Dagadi chawl film Sangeeta Ahir and mangalmurti films has all plans set for the sequel of Dagadi chawl. Script work is in progress and characters and actors are yet to be finalized but one thing is sure that character of Daddy which was magnificently played by great actor Makrand Deshpande and this film is releasing in 2016. Dagadi chawl has got tremendous success all over Maharashtra but Sangeeta Ahire wants to take sequel of this film to overseas as all Maharashtrian audience over Dubai, London , Singapore can enjoy the film. This will be her first movie in Marathi; she has produced Hindi movies like Calendar Girls, Guddu Rangeela, Singh Saheb The Great, Apne, Life Ho Toh Aisi and many more. “Marathi movies should be marketed well and to support the activity I will always extend a helping hand”, said Sangeeta Ahire. Next articleActor ‘Ajinkya Deo’ playing the role of Director in ‘Shinma’!